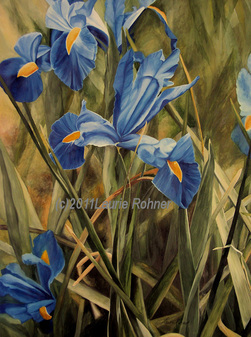 Watercolor botanical flower paintings and illustrations of garden wildflowers painted by Laurie Rohner. About my botanical floral watercolor paintings. 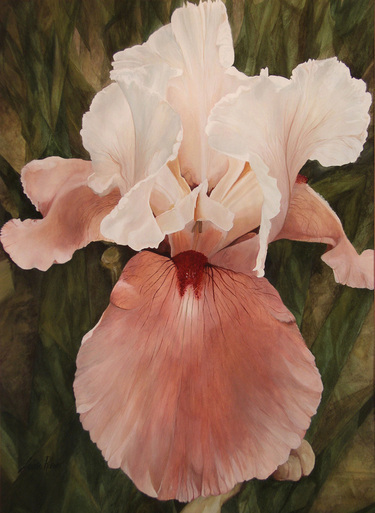 Iris peonies and foxglove are my favorite to paint when painting the large watercolor artwork. I find it mesmerizing the way the colors and forms join together to create the petals and leaves of the botanical garden flowers. Nature is wonderful teacher of form and detail and I find something new every time I enter a garden. Be sure to check out the other galleries of art work. My nature art watercolor paintings are based in a traditional style of detailed realism, and I love to paint woodland landscapes and botanical garden flower fern and herb. My watercolors are created with a style of painting called glazing. It is layering pigment down on top of each other building the image with color. A painting has up to 10 layers. I love the opaqueness and luminosity, it is not the usual style of watercolor painting and best appreciated in person. My paintings are original watercolors. Each one is unique and one of a kind. They are painted on both hot and cold pressed watercolor paper. Hot pressed paper has a smooth finish, while cold pressed paper has a textured finish. I use two different paper weights, 140lb. and 300lb. My watercolor paintings on 300lb paper are sturdy and do not flex and is the weight I prefer to paint on though costly. The original watercolor illustration renderings painted on 140lb. paper can be slightly cockle, a common characteristic of the medium, this is from wetting the paper with paint and water. In most cases the paintings dry flat. All of my paintings are titled, signed and dated in pencil on verso and initialed on the front. 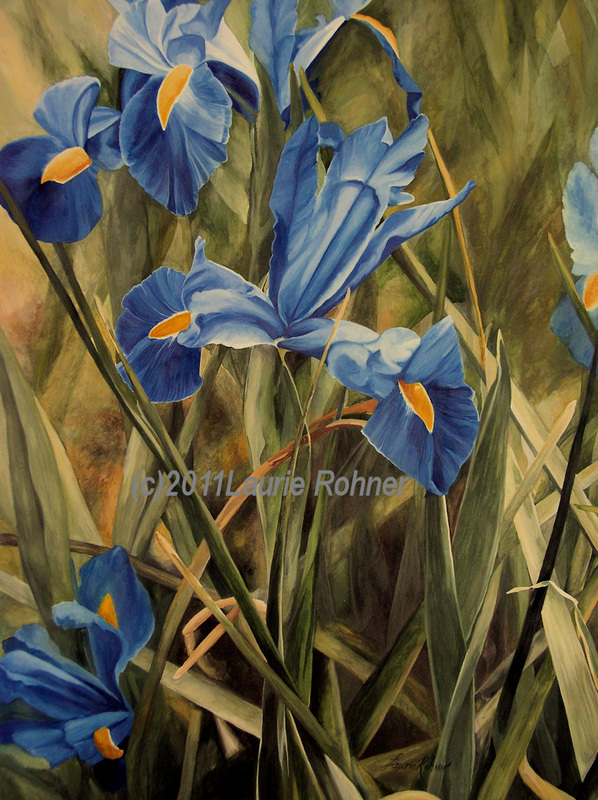 A nature art collection of woodland botanical garden flowers using watercolor and oil paints on paper and canvas are original painted artwork by Laurie Rohner. 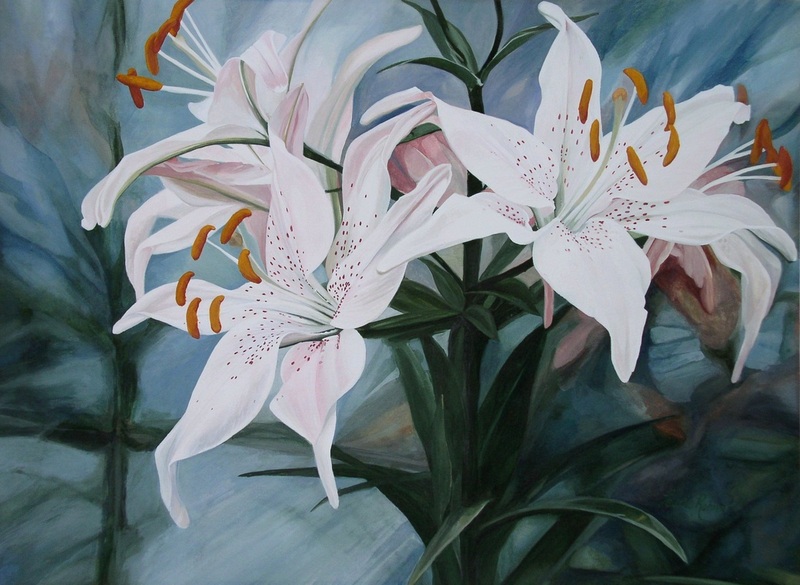 My paintings range from detailed large contemporary watercolor and oil paintings to small eclectic nature studies, while some are whimsical fun renderings with quotes. I think my work can be used in cottage farmhouse or today's lofts as statement collector's art or art you just like to hang. 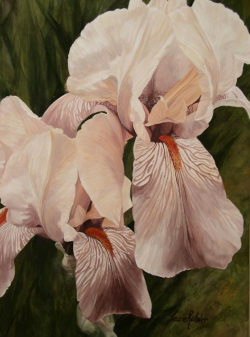 My botanical paintings are watercolor on paper, acrylic on canvas and oil on panels or canvas. I work with flowers and wildflowers from around my home and studio and some are from photographs. *Lovely, lovely watercolor. I am so pleased I bought it. It IS much nicer in person! I immediately hung it on my bedroom wall to dream about my mountain woodland home. Well done! Fast and careful shipping. Many thanks. *thank you! beautiful artwork and wonderful wrapping. 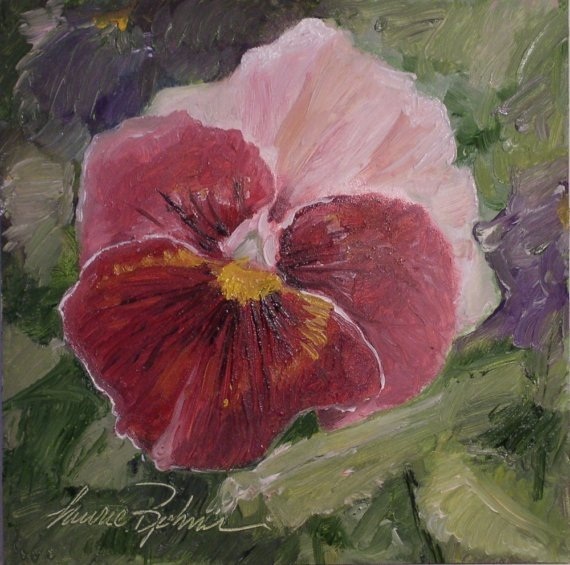 this pansy painting made a great trident bid day gift! *A fine small oil painting, a touch of Summer all year long. Thanks Laurie! *Thank you! You are a wonderful artist and I shall enjoy this for years and years!!!! Excellent seller!!!!! 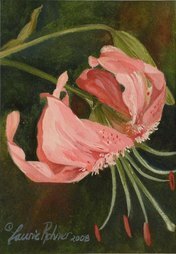 Some of my sold botanical paintings in oil and watercolor.